Please visit the Mill Creek Sports web page for event details and additional pricing. For more information call 425-742-8500. 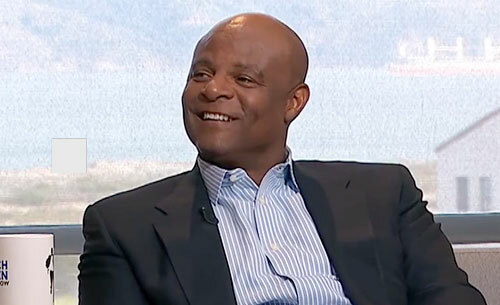 Warren Moon played quarteback for the Edmonton Eskimos in the Canadian Football League (CFL) and the Houston Oilers, Minnesota Vikings, Seattle Seahawks and Kansas City Chiefs in the National Football League (NFL). He is currently a broadcaster for the Seattle Seahawks and is also a business partner with his longtime friend and agent, Leigh Steinberg at Leigh Steinberg Sports & Entertainment out of Newport Beach, California. Warren Moon was inducted into the Canadian Football Hall of Fame in 2001 and the Pro Football Hall of Fame in 2006, the only player ever to be enshrined by both the Pro Football Hall of Fame and Canadian Football Hall of Fame. Sports Speakers 360 is a booking agent for pro athletes. If you would like to book Warren Moon for a speaking engagement, appearance or endorsement, contact a Warren Moon booking agent for fees at 1.855.303.5450.